BUTUAN CITY, Nov. 23 - The Department of the Interior and Local Government (DILG) – Caraga recently conducted a training on Enhancing Local Government Units’ (LGUs) Capacity on Planning and Implementation of Local Development Projects held here. The three-day activity was participated in by the Bids and Awards Committee (BAC) chairpersons, municipal planning and development coordinators (MPDCs), municipal engineers and civil society organization (CSO) representatives from 45 local government units of the five provinces of Caraga Region. In her opening message, DILG Caraga Regional Director Lilibeth A. Famacion said the “27 years after the passage of the Local Government Code, it has been observed that the LGUs are still lacking with the necessary competency in the implementation and managing of the projects being given to them. "Through the tool developed by the Local Government Academy which was administered to our LGUs in a Focus Group Discussion, it was identified that most are still lacking in the necessary capacity in the areas of project identification and development; project procurement and contract management; project implementation and management; and project sustainability planning," she added. Famacion also said that it was a unique training because they have tailor-fitted it according to the gaps identified through the tool and the resource speakers have been carefully selected to really address these gaps. The first day of the capacity development intervention banked on carefully selected modules about project identification and development with the technical experts from DILG-Caraga as resources speakers on some modules. Engr. Mark Obani and Local Government Capability Development Division Assistant Chief Cherry Vitor gave a discussion on Tips on Project Identification and Gender Responsive Proposal. Moreover, Local Resource Institute partners from the Philippine University Mindanao, Prof, Cornelio L. Labao Jr., and Dr. Elvira V. Chua gave a detailed presentation on what is a project, the project cycle, and the logical framework. Also, Supervising EDS Graziella C. Harting from NEDA-Caraga wrapped up the first day with a discussion on project development. A revisit on the 2016 Revised IRR of the R.A. 9184, otherwise known as the Government Procurement Reform Act, was conducted in the morning of the second day of the activity. Because of the many issues related to procurement, the participants were clustered in half so as to substantially address their concerns on the matter. Chief Budget and Management Officer Carlito P. Leyson of DBM-Caraga served as the resource speaker for the participants from the provinces of Dinagat Islands and Surigao del Norte, while Vice President for Administration and Finance Dr. Florife O. Urbiztondo from Surigao del Sur State University served as the resource speaker for the participants from the provinces of Agusan del Norte, Agusan del Sur, and Surigao del Sur. During a plenary in the afternoon, topics related to R.A. 9184 was tackled by Atty. Anthony P. Vitor of Kitcharao-Jabonga Municipal Circuit Trial Court. He also discussed the topics on project procurement and contract management. After which, DMO Emily M. Gatillo and Engr. Jesreel B. Yañez from the DILG Regional Project and Development and Management Unit (RPDMU) gave a presentation on the results of the Project Monitoring Committee Survey and the ‘how-tos’ of organizing a functional Project Monitoring Team. As a closing module for the day, DILG-Butuan City Director Charissa T. Guerta introduced the concept of Peace Development Zone (PDZ) which is the program of the Regional Peace and Order Council (RPOC). 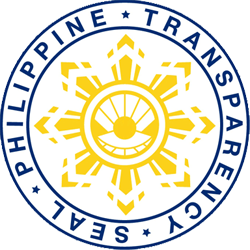 It is the latest issuance from the department requiring CSOs who wish to engage in the implementation of DILG programs, projects and activities to be accredited or certified. Meanwhile, Engr. Jojo A. Serenado, team leader of RPDMU tackled the basics of Results-Based Monitoring and Evaluation. The highlight of the third day was the detailed presentation of Dr. Raquel M. Balanay of Caraga State University on Project Sustainability Planning and the alignment of Sustainable Development Goals. “It is not enough that LGUs and even other project implementers to just devise a way to produce a project, they should see to it that the project is sustainable – that it will not be a dead investment rather one that truly creates benefits,” said Balanay. BUTUAN CITY, Nov. 23 - The Project Convergence on Value Chain Enhancement for Rural Growth and Empowerment (Project ConVERGE) will open access from the national highway to Sitio Sohoton in Barangay Mabini, Placer, Surigao del Norte. This after officials of the Department of Agrarian Reform (DAR) and the International Fund for Agricultural Development (IFAD) held the groundbreaking ceremony for the 2.1 km farm-to-market road last November 17, 2018. “The road opening will facilitate access to the farmers in the area, especially those engaged in the coconet enterprise," says DAR Regional Director Leomides Villareal. Project ConVERGE supports the coconet enterprise in the CLAGIBAPLA area covering agrarian reform community clusters in the municipalities of Claver, Gigaquit, Bacuag and Placer, all in Surigao del Norte. According to Surigao Norte Provincial Agrarian Reform Officer II Elizabeth de Guzman, the road project will benefit approximately agrarian reform beneficiaries and smallholder farmers in the area. Villareal furthers said this endeavor is still part of President Rodrigo Duterte’s thrust of improving the lives of the farmers in the countryside. The ground-breaking ceremony which was attended by Placer Mayor Michael Jose Patiño, Project converge National Project Director Faisar Mambuay, and the IFAD Mission Team composed of Management Consultant Gomer Tumbali, Rural Infrastructure Consultant Engr. Ike Payumo, Carmina Marquez of IFAD-USA and Mark Gatdula of the National Economic and Development Authority (NEDA) and was part of the major activities during the Project Midterm Review Mission conducted by IFAD. Also during the mission, twining machines provided by the project were checked. The midterm review mission aims not only to assess the progress but also to review policies relating to implementation. Under Project ConVERGE, agrarian reform beneficiaries and smallholder farmers in the CLAGIBAPLA area are provided support through the Coconet and Bio Fertilizer Enterprise. Earlier, the mission also visited the project site and conducted dialogue with the lead and participating organizations and other major key enterprise farmers of the abaca project in Agusan de del Norte. BUTUAN CITY, Nov. 23 -- A total of 259 cops assigned in the different police units in Caraga underwent the Annual Physical Examination, Wednesday morning. Chief Supt. Gilberto DC Cruz, Regional Director of Philippine National Police (PNP) Caraga, led the annual check-up for police personnel at the PNP hospital in Brgy. Libertad, Butuan City. The physical examination is a mandatory test every year for PNP personnel aged 40 and above in consonance with the PNP regular fitness program. “It is important for us to determine whether we are physically fit or we need medications. Not only that our uniforms are snappy but also we must be physically fit and capable to perform law enforcement functions,” RD Cruz said. BUTUAN CITY, Nov. 23 - With the awarding of three new certified establishments with the Bronze Bagwis seal and the leveling up of one to a Silver Seal, the province of Agusan del Norte including this city now have a total of 52 Bagwis Seal awardees. The three newest additions to the existing 38 Bronze level that were recognized on October 30 include the L. Orongan Enterprises, Recon Trading and North-Min Auto Dealership. The former bronze seal awardee which now joins the 13 Silver seal holders in the province is Villahermosa Shoppers. Of the total number, one has been given the Gold Seal, which is the highest level given to Sharp Philippines. As Bagwis awardees or the so-called certified establishments are stores that have been evaluated to uphold the rights of consumers, implement good business practices and give customers best value for money. BUTUAN CITY, Nov. 23 - Patients from the different parts of Caraga region are encouraged to avail of the Free Harelip, Cleft Palate and Goiter Surgical Mission at the Holy Child Colleges of Butuan Hospital, Guingona Subd., Butuan City on November 27-30, 2018. The surgical mission will be conducted by the Maharlika Charity Foundation, Inc. of Davao City in cooperation with Smile Train International. The operation will be free of charge including the doctor’s fee, medicines, snacks and meals which are all sourced out from the local sponsors. On the other hand, police provincial offices and municipal police stations in Caraga are tapped by the foundation to help identify patients especially those who belong to the Indigenous Peoples (IP) community and less fortunate families. SAN MIGUEL, Surigao del Sur, Nov. 23 (PIA) – More than 400 Lumads from the upper communities of San Miguel, Surigao del Sur have benefitted from the free basic services offered by the different stakeholders during the conduct of the Peace Caravan spearheaded by the Local Government Unit of San Miguel in partnership with the 36 Infantry “Valor” Battalion (36IB) held on Nov. 19, 2018 in Barangay Bitaugan. The local folks who joined the event availed free medical, and dental services with free medicines, vegetable seeds and Falcata seedlings. They also received food packs and benefited Porridge Feeding, and free haircut during the event. With the theme “Panaghiusa Para sa Kalinaw Ipatigbabaw” (Uphold unity for peace), Civil Military Operation (CMO) Officer Captain Francisco Garello Jr. said the Peace Caravan was derived from the concept of bringing the message of peace and the government closer to the people. “It anchors on the principle of peace by presenting the government interventions through the delivery of basic services to include information education campaign, and the community dialogues to address peace and security issues,” said Capt. Garello. BUTUAN CITY, Nov. 23 - The Sangguniang Panlalawigan (SP) of Agusan del Norte created the Public Employment Service Office (PESO) in the province of Agusan del Norte through Provincial Ordinance No. 502-2018 in a regular session held on October 23, 2018. This is one of the priority legislative measures of the SP as part of the Legislative Agenda, resulting from discussions during a consultative meeting conducted by the Committee on Human Resource Development, Labor and Employment, chaired by Provincial Board Member Virgilio R. Escasiñas, Jr.
Based on the study conducted by the committee, it was known that the establishment of a labor market information infrastructure in the province of Agusan del Norte can be more efficient and effective in providing employment services to facilitate the meeting of demand and supply for skills and reduce the transaction cost of information on available skills and jobs. Provincial Board Member Escasiñas said that the PESO shall ensure prompt, timely and efficient delivery of employment services to the constituents of the province. This is also in line with Republic Act No. 10691, otherwise known as the PESO Act of 1999, mandating the establishment of PESO in all provinces, cities and municipalities that will serve as an extension arm of the Department of Labor and Employment (DOLE) in all its labor and employment assistance programs and activities. PESO will focus on labor and market information, referral and job placement, counseling to job seekers on the current labor market situation, conduct job fairs and other programs and services to put in place the employment services in the province. BUTUAN CITY, Nov. 23 - The Sangguniang Panlalawigan of Agusan del Norte recently requested the Department of Information and Communications Technology (DICT) to facilitate the immediate upgrading of the internet services in the province for easy access and prompt access of the constituents. This move was pushed by Provincial Board Member Lorito Q. Maragañas, chairperson of the Committee on Energy, Transportation, Communication and Information, considering it as one of the priority measures of the committee under the Legislative Agenda of the SP. During the committee consultation, it was known that the country has internet providers that have speeds of at least 100 Mbps in the likes of PLDT, Globe, Smart Telecommunications, Converge ICT, Sky Cable, Planet Cable, PT&T, Eastern Communications and Rise. In comparison, in Japan, a Japanese internet service provider has begun offering broadband plans with 2Gbps downloads and 1Gbps uploads to residents in Tokyo and six surrounding districts that makes the service provider the world's fastest for commercial internet. However, in the province of Agusan del Norte, the most common internet providers have a slow internet connection. Provincial Board Member Maragañas said one of the mandates of DICT is to establish a free internet service that can be accessed in government offices and public areas using the most cost-effective telecommunications technology, through a partnership with private service providers as may be necessary. He added that to improve the economic, social and educational opportunities in the province and provide efficient and effective internet infrastructure and information systems to the public, there is a need to maintain sustainability and viability of the faster wifi internet access service. As to Countryside Development, the DICT is also required to assist, guide and support ICT-related activities and initiatives for countryside economic development; and promote and assist LGUs and local stakeholders in developing specialized ICT-enabled investments areas by providing technical and industry-calibrated assistance in the use of ICT for the enhancement of key public services, development and promotion of local arts and culture, tourism, digital literacy, and talent development. BUENAVISTA, Agusan del Norte, Nobyembre 23 (PIA) -- Malaki ang pasasalamat ng mga magsasaka ng barangay Guinabsan, Buenavista sa probinsya ng Agusan del Norte sa tulong na dulot ng KaPALAYapaan project. 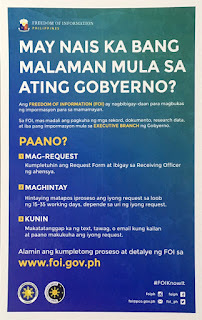 Sa ginanap na ceremonial harvest, napatunayan ni Pilipine Geldore, 68 gulang at isa sa 16 na magsasakang naniwala sa KaPALAYapaan at nabigyan ng tulong teknikal at financial, ayon kay Pilipine, ang KaPALAYapaan ay nagdulot ng malaking financial relief sa kanilang mga magsasaka. Dagdag pa ni Pilipine, ito ay napatunayan dahil kahit naranasan ang El Nino phenomenon o kakulangan ng tubig sa kanilang mga pananim hindi masyadong apektado ang ani nito. Malaki ang pasalamat ni Pilipine kay governor Angel Amante-Matba sa financial na tulong ng probisya, sa Philippine Army sa walang sawang gabay mula sa pagtanim hanghang ito ay anihin at kay Dodong Lauzon na siyang nagpakilala ng teknolohiya sa kanila at nakarating ito sa kanilang barangay. Matatandaaan na ang Guinabsan farmers ay ang unang grupo ng mga magsasaka upang mabigyan ng katuparan ang KaPALAYapaan sa probinsya. Ayon din kay governor Matba, malaki ang tulong ng teknolohiya, kaya’t hinikayat niya ang mga magsasaka na gamitin ito upang maiangat ang kanilang mga buhay at magkaroon ng masaganang ani dulot ng KaPALAYapaan.